The All-In-One Transmitter is designed to work with JTECH's IQ pager series. It's easy for staff to use and is built with durability in mind for tough jobs. The space-saving transmitter is an all-in-one base solution for charging, transmitting and holding up to 15 pagers. 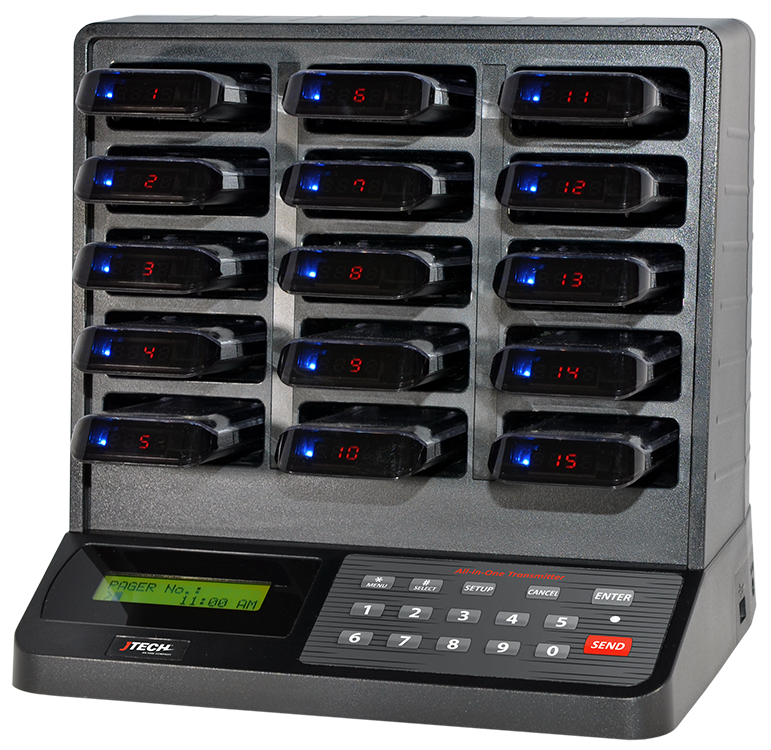 The All-In-One Transmitter takes up less space for charging and calling your JTECH IQ series pagers. Easy-to-read LED backlit digital display. Quick buttons make repeated communications a breeze. Easily locate missing pagers with a press of a button to reduce loss. 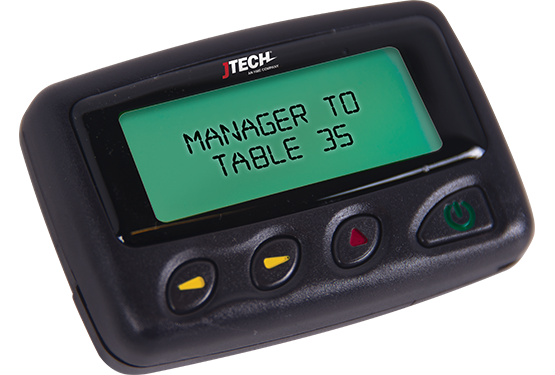 Supports the full line of JTECH pagers.